The hotels are an approximate 300,000 square foot 10-story structure with 280 rooms. The first floor is approximately 48,000 square foot in area with a dining, kitchen, and service area, an entrance porte cochere, an indoor swimming pool and a 10-story open atrium. The convention centers are an approximate 82,000 square foot single story structure. The buildings will have a large ballroom with folding partitions dividing the space. Around the perimeter of the ballrooms be storage rooms, restrooms, and pre-convene areas. 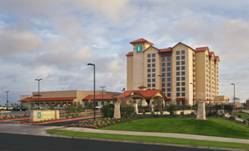 The hotel is an approximate 188,000 square foot 9-story structure with 222 rooms. The first floor is approximately 33,000 square foot in area with a dining, kitchen, and service area, an entrance porte cochere, an indoor swimming pool and a 9-story open atrium. The convention center is an approximate 34,300 square foot single story structure. The building will have a large ballroom with folding partitions dividing the space. Around the perimeter of the ballrooms will be storage rooms, restrooms, and pre-convene areas. The hotel is an approximate 300,000 square foot 10-story structure with 280 rooms. The first floor is approximately 48,000 square foot in area with a dining, kitchen, and service area, an entrance porte cochere, an indoor swimming pool and a 10-story open atrium. The convention center is an approximate 82,000 square foot single story structure. The buildings will have a large ballroom with folding partitions dividing the space. Around the perimeter of the ballrooms will be storage rooms, restrooms, and pre-convene areas. 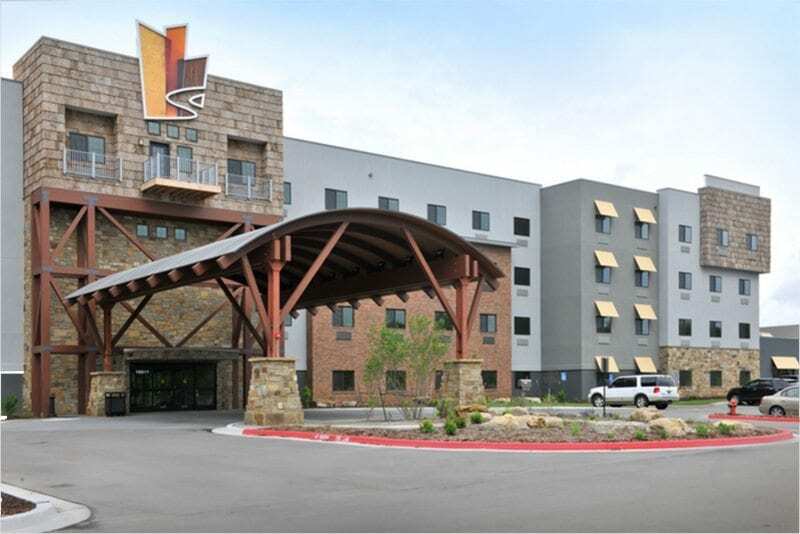 The hotel is an approximate 300,000 square foot 10-story structure with 280 rooms. The first floor is approximately 48,000 square foot in area with a dining, kitchen, and service area, an entrance porte cochere, an indoor swimming pool, and a 10-story open atrium. The convention center is an approximate 82,000 square foot single story structure. The buildings will have a large ballroom with folding partitions dividing the space. Around the perimeter of the ballrooms will be storage rooms, restrooms, and pre-convene areas. This project is a renovation of the existing 1920 Besse Hotel in Pittsburg, Kansas. We will provide structural drawings for permitting related to the renovation. The areas that require structural modification and/or reinforcing are around the new stairs, elevator/trash shoot, and existing floor opening infills, and raising a floor area to match elevated areas. This project consists of a new Fuddruckers restaurant building approximately 6780 sf with a 1000 sf patio. This project consists of a 15,700 square foot two-story facility.